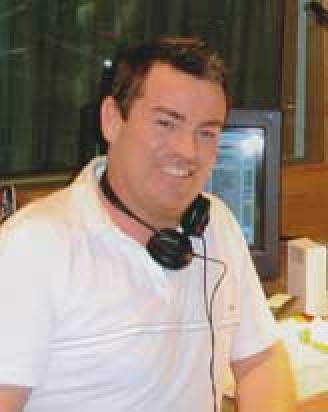 Derek is a Scottish voiceover artist and works as a continuity announcer for STV. He doesnae sound like somebidee fae Glasgow but he can if that's what ye want. Derek's voice is friendly, relaxed, reassuring, and versatile. He can soften or thicken his neutral Scottish accent and has a flair for imaginative character voices and various other accents including Northern and Southern Irish, Welsh, Manchester, Geordie, Scouse, Cockney, American Southern (Texas) and Australian. Derek has announced for STV, Grampian TV, Living TV, Bio, The Travel Channel and worked as a Newsreader for Radio Forth and Radio Borders. Other clients include British Airways, Red Facilities and Demus Productions.